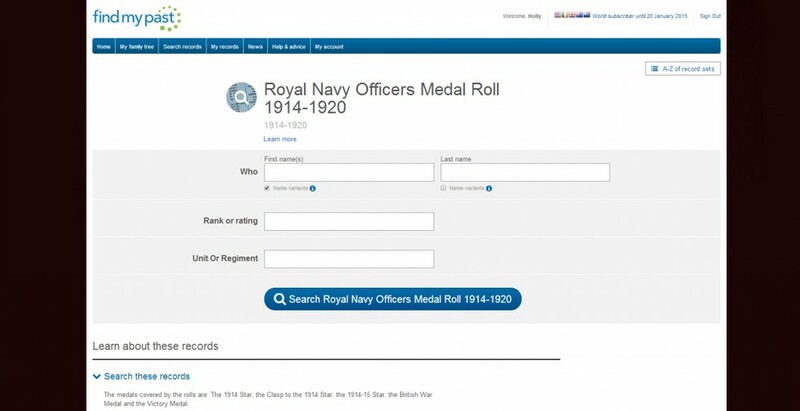 We've got the most comprehensive collection of First World War service records anywhere online. 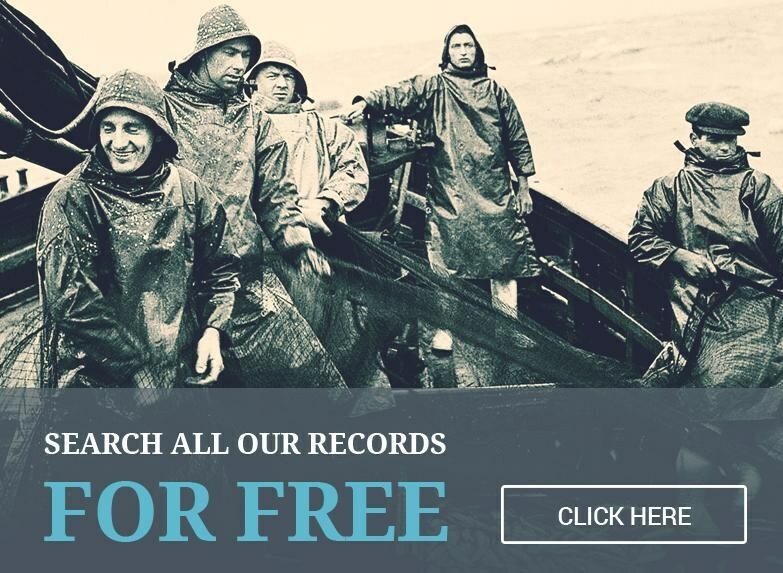 With millions of Army, Navy and Air Force records, carefully indexed to include many more soldiers' names than you'll find elsewhere, Findmypast is the best place to start searching for your World War 1 ancestors. We've put this quick guide together to help you find your World War 1 ancestors. As with all family history research, the best place to start is with those closest to you. Ask your relatives what they remember; perhaps they have photos, medals, letters or diaries which have been passed down to them. As soon as you have a name and a date, you are ready to start investigating. If you know that your ancestor was born in the UK between 1878 and 1900 there's a good chance they would have served in the Great War. 5.7 million men from the British Isles served during WW1, and as the population at that time was only 46 million (including women) it's quite likely that they would have either volunteered or been called up. Unfortunately, it can be harder to find those who survived the war in historical records than those who were killed. Details of casualties were well recorded, and the military units, date of death and location of their burial or commemoration were all kept. If your First World War ancestor died while serving with British armed forces or in the service of one of Britain's Dominions, he or she should be remembered by the Commonwealth War Graves Commission on its Debt of Honour register. You can search this database free of charge from the CWGC home page. For those who survived the war, valuable information can be found in our medal rolls and service records. Below, we've got more specific details on how to research those who served in the Royal Navy, British Army and Royal Air Force. Don't forget to also check marriage certificates for those who were married during the war. If a man was serving at the time, the details of his service will often be recorded in the occupation field of his marriage certificate. Tip: If you have family medals from the First World War, check along the medal rim for the man's name, rank, regiment and regimental number (for other ranks) or on the reverse of the 1914 Star and 1914/15 Star. During World War 1, the British Army grew dramatically from under 750,000 in 1914 to over 5 million in 1918. The details of every man who served were carefully recorded and catalogued - you can explore our service records to see some examples of just how detailed they were. Unfortunately, around 60% of service records were destroyed during enemy bombing in the Second World War. We have, however, comprehensively indexed all the surviving ones. All our military records are for ranks other than officer, and only for those who were discharged from the army before 1921. If your ancestor continued to serve in the army after 1921, his or her records will still be with the Ministry of Defence, and although World War 1 officer records have not been digitised, the majority are accessible at The National Archives in Kew. It's important to note that before the Royal Air Force was created in 1918, the Royal Flying Corps fell under the control of the British Army. 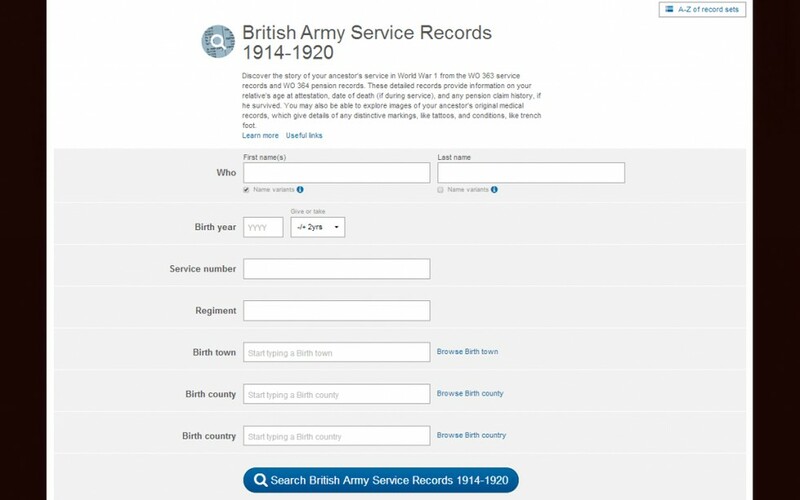 So don't forget to search the British Army Service records collection if you're looking for a World War 1 airman.